Try our new Instant Messenger! w/ Audio and video! 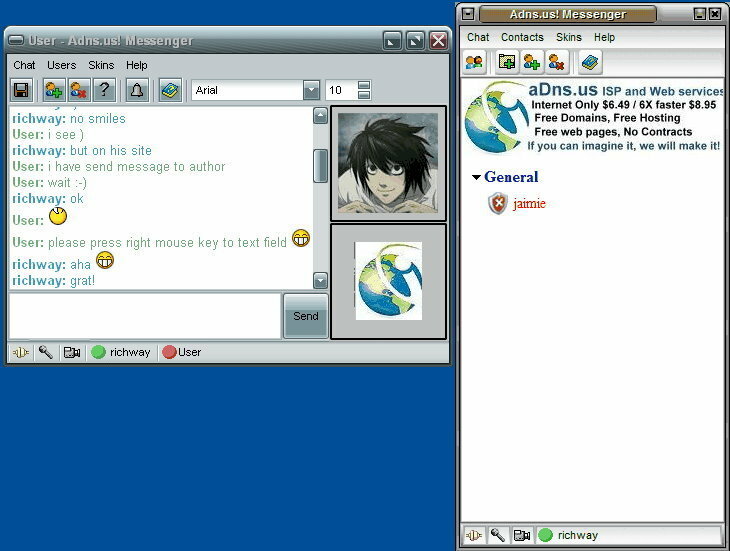 ADNS provides affordable dial up internet isp access, service providers, providers, cheap INTERNET, low cost isp, ISPs, free internet, free e-mail, online service, reliable connections, reliable internet, dial-up access, broadband, high-speed internet, DSL, high speed connection, cable, instant messaging, low cost isp, high-speed internet, reliable connections , low cost isp, national dial up internet access and is an ISP for National.